CHANGE can bring about pleasant results and guests at a dinner at Shangri-la Hotel Kuala Lumpur savoured some interesting traditional favourites introduced by Zipangu’s new head chef at a dinner. Hailing from Tokyo, the 46-year-old chef Hiroaki Karasawa is set to delight guests with his creative dishes, while preserving the authenticity of Japanese cuisine. “The focus is to serve traditional dishes with a slight twist, either in its preparation or ingredients. “We use only the finest and freshest ingredients, most of the which are flown in from Japan four times a week. “It will be an exciting time as we will also be updating the menu with more dishes,” he said. To celebrate its new chef, more than 50 guests comprising its corporate clients were treated to an evening cocktail and a selection of dishes from the restaurant’s improved menu. Karasawa’s 27 years of experience was fully displayed in his exquisite creations. Asparagus Tofu and Chestnuts with Miso (front) and Amaebi Croquet with Micro Tomatoes (left). His signature dishes included Fresh Sea Urchin Pudding with Consomme Jelly and Caviar, New Zipangu Style Grilled Gindara with Saikyo Miso, Grilled Australian Wagyu, Grilled Foie Gras and Seared Sea Urchin. Other dishes served were Boiled Spinach with Usuage, Ox Tongue Burger with Chinese Bun, Foie Gras Chawanmushi with Crab Meat Sauce and a dessert of Mango Pudding with Coconut Sauce. 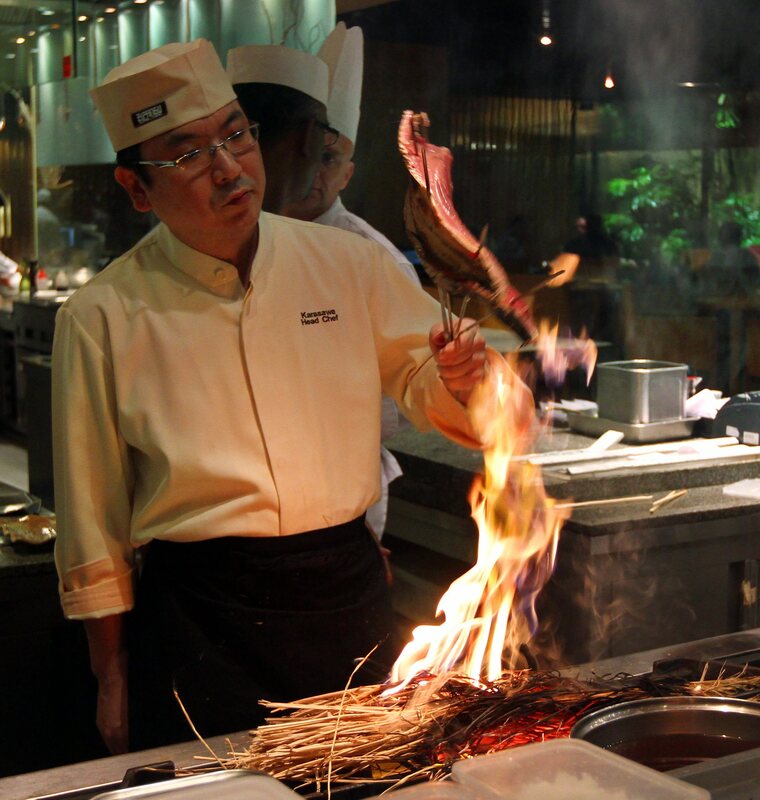 The award-winning chef was previously chief chef at Nadaman Japanese Restaurant at Imperial Hotel, Tokyo. He underwent culinary training at Musahino Cooking College in Tokyo and has worked in Holland as well as Beijing, China. 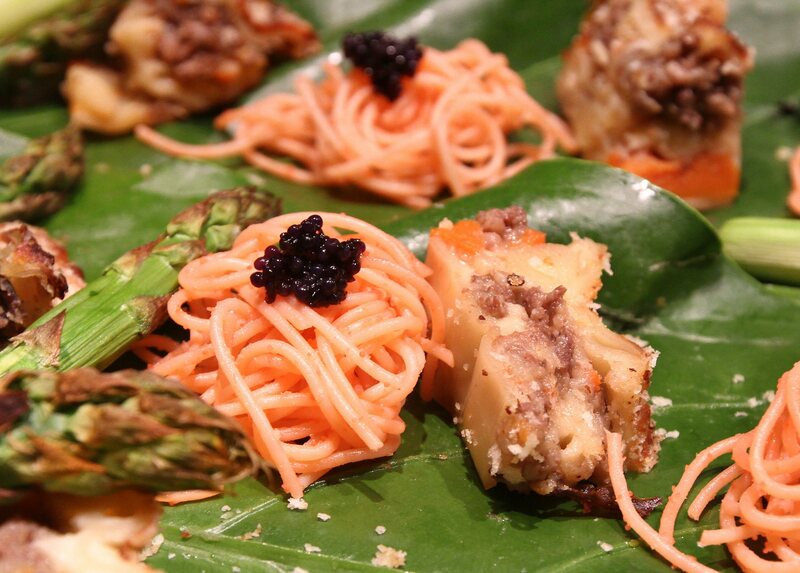 Beef and Potatoe Lasagna (right) and Cappellini with Spicy Cod Roe topped with Caviar. 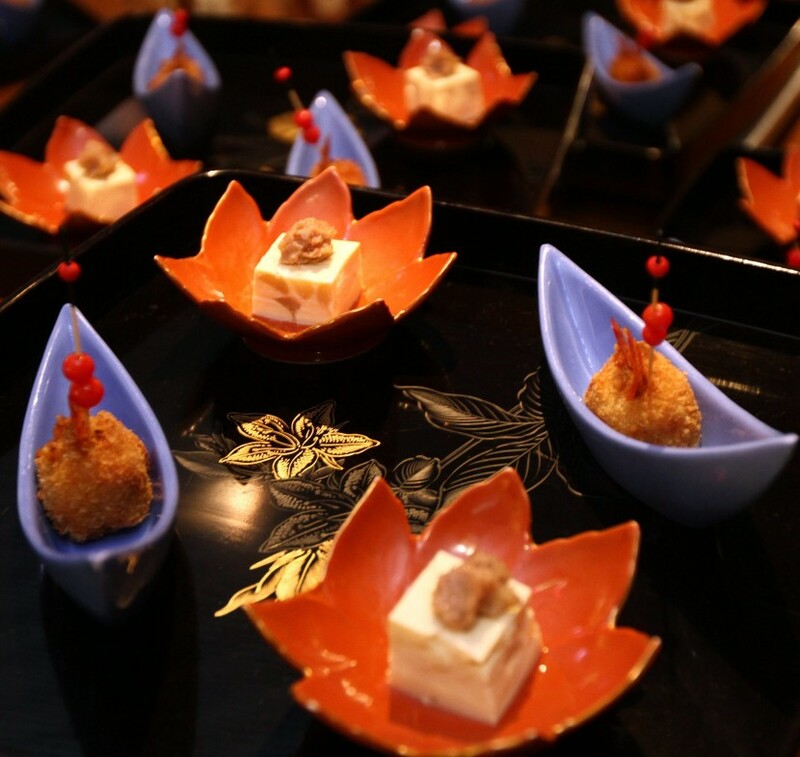 During his stint in Beijing, Karasawa was awarded the Japanese Cuisine Category Award 2014, The Second China Michelin, The Best Japanese Restaurant 2014 among others. Guests dining at Zipangu throughout October can also enjoy the restaurant’s Foie Gras and Truffles special promotion. Dishes include Beef Roll with Foie Gras and Seared Sea Urchin, Truffle and Corn cooked with Rice in Claypot and Foie Gras Ice Cream with Fig Sauce.